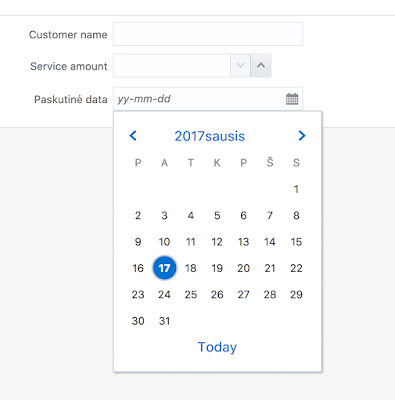 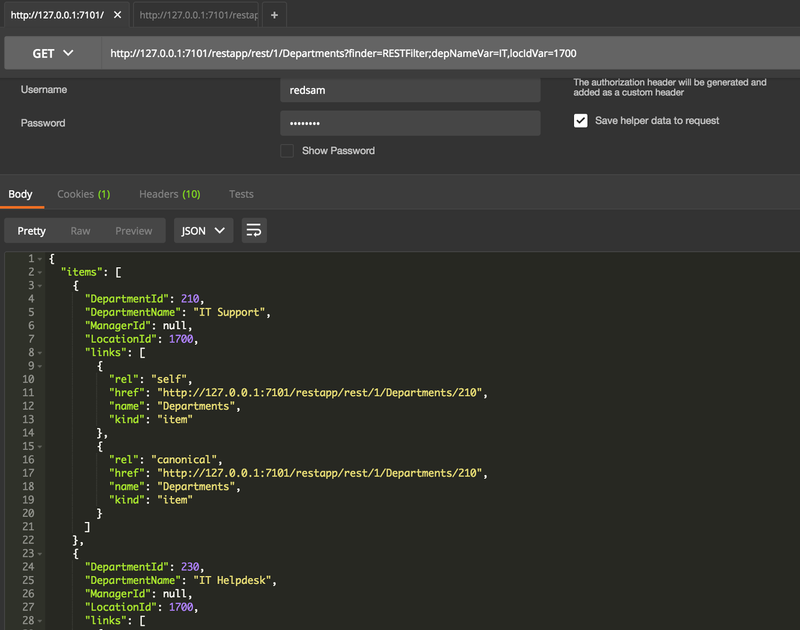 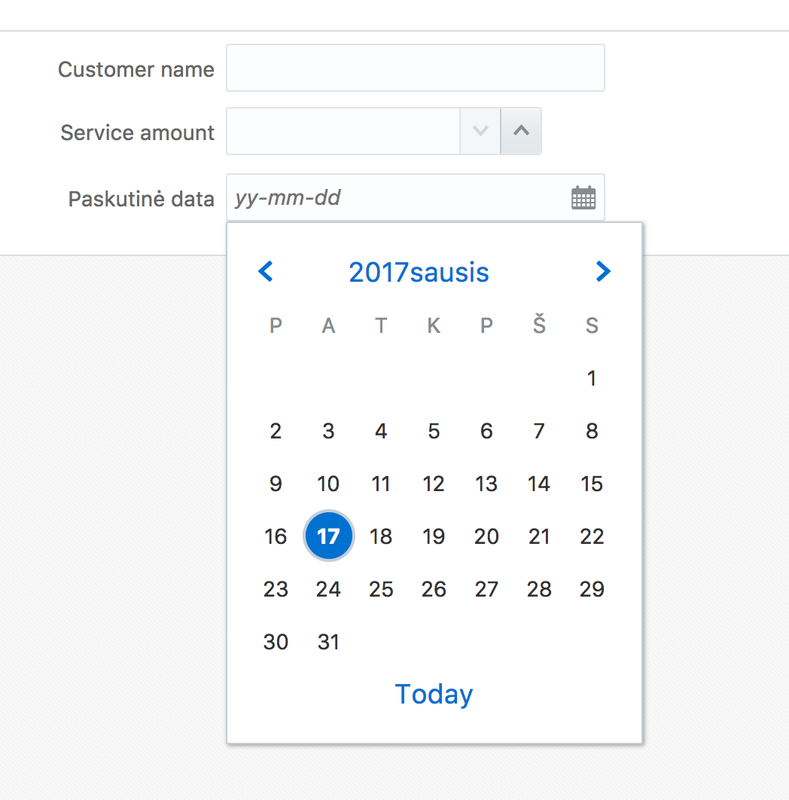 ADF 12.2.1.x brings improved API support for Contextual Event implementation - this should simplify Contextual Event usage. Now Contextual Events can be produced without referencing ActionEvent or SelectionEvent, also there is no need to define Data Control to implement Contextual Event handler. 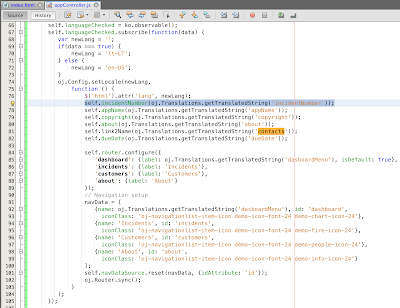 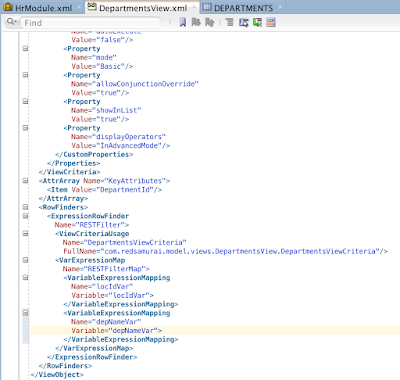 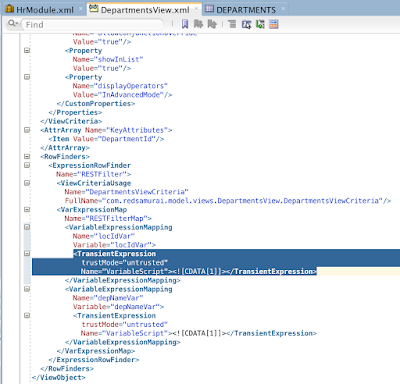 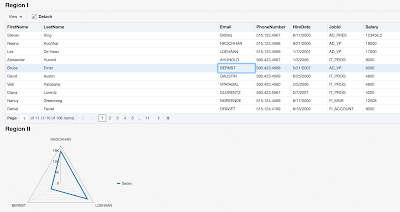 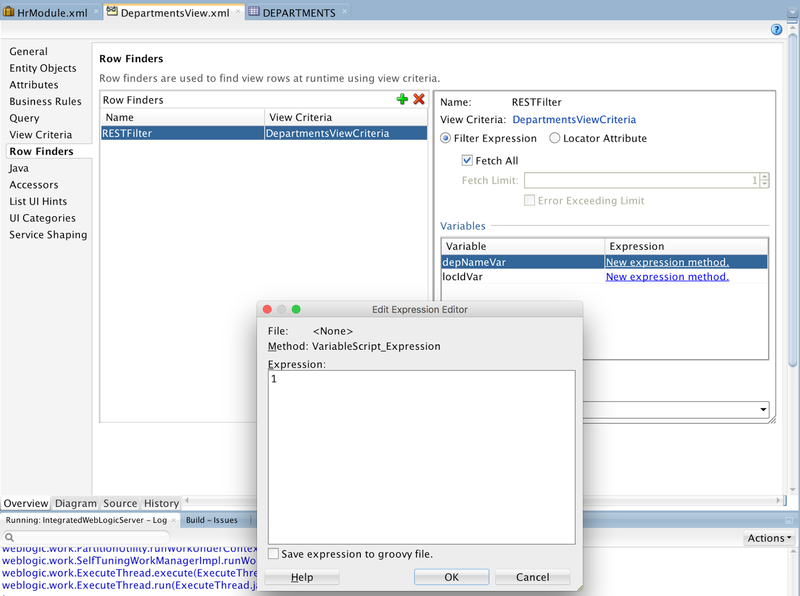 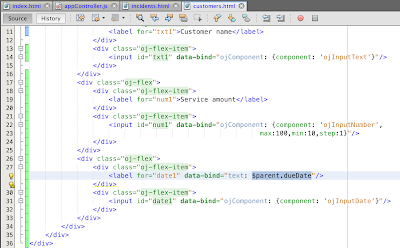 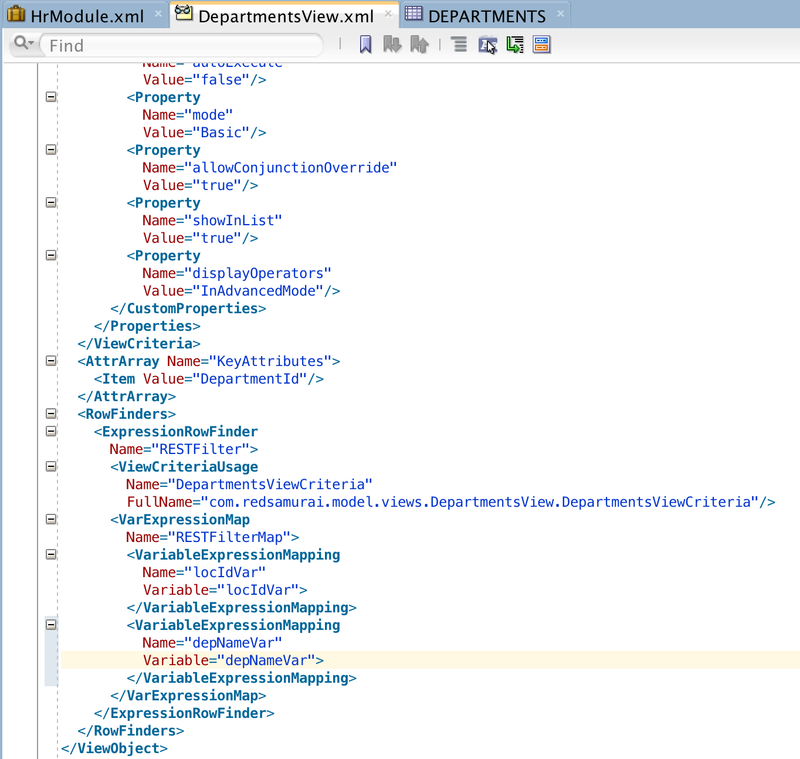 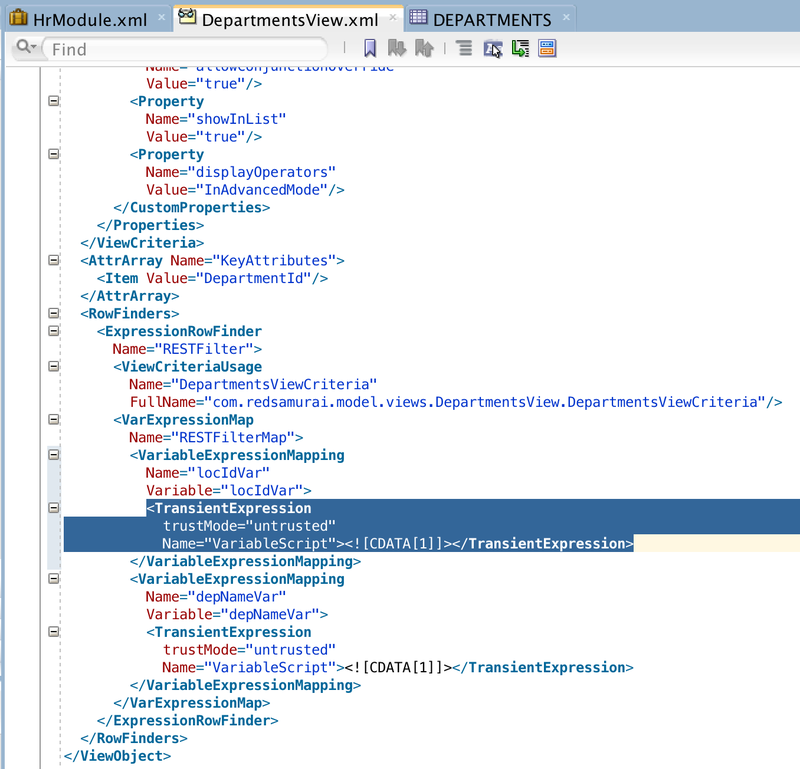 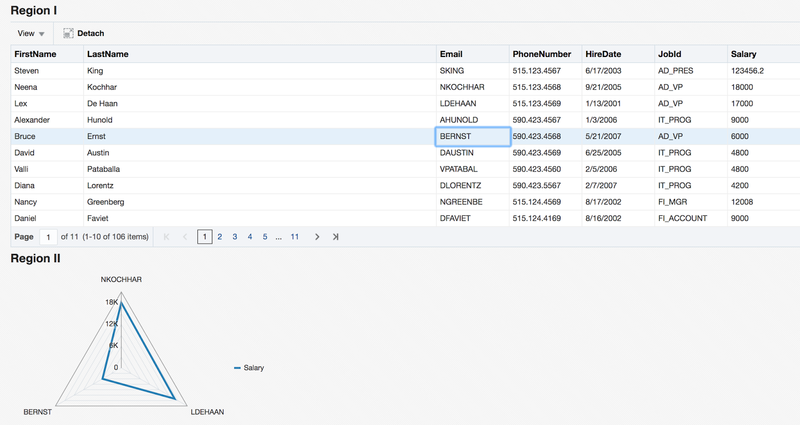 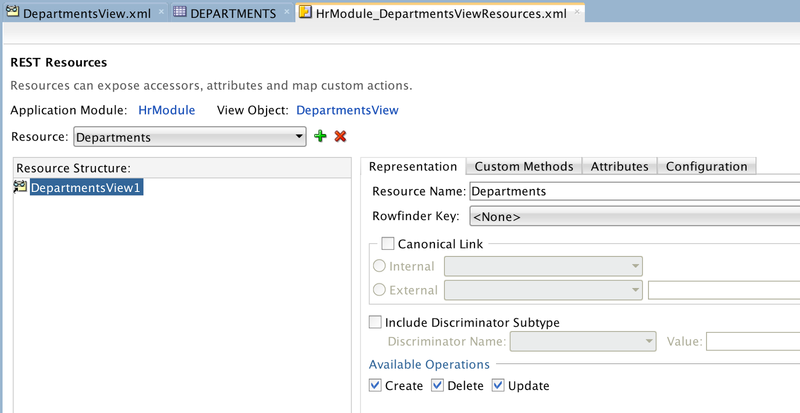 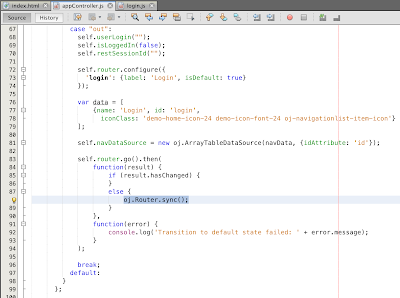 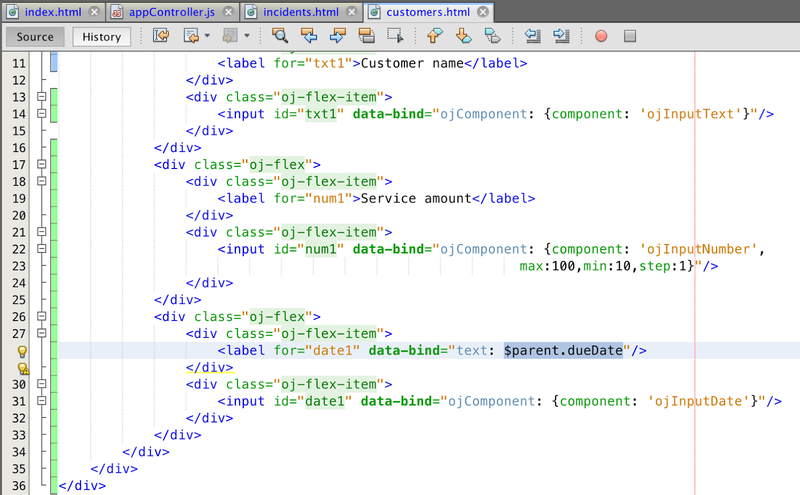 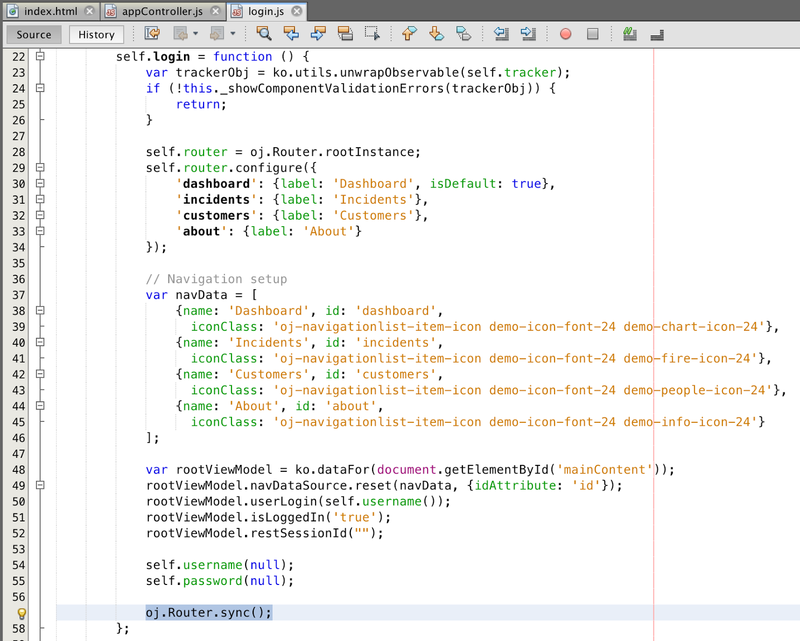 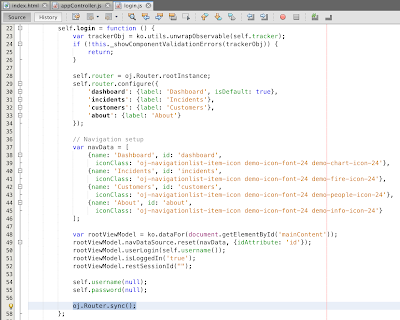 Read more in ADF 12.2.1.x documentation - 46.4 Creating Contextual Events Using Managed Beans. 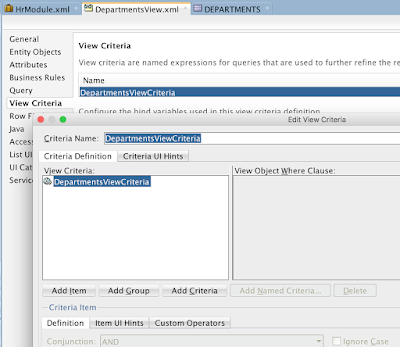 I will provide example and explanation how to use these improvements. 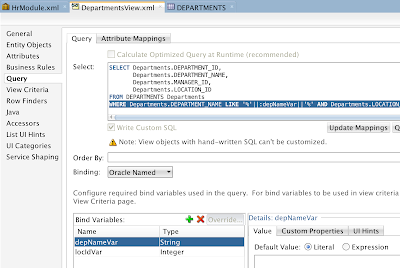 Is not that obvious from Oracle ADF BC REST developer guide how to provide value for bind variable defined directly in the View Object SQL statement. I did research around this and would like to post few hints to make your life easier, if you have same requirement - pass values from REST request to View Object required bind variables. 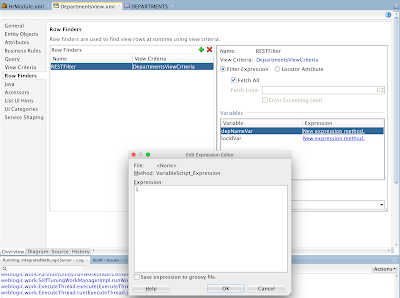 This topic is especially useful, when you want to reuse existing ADF BC implementation for ADF BC REST access. 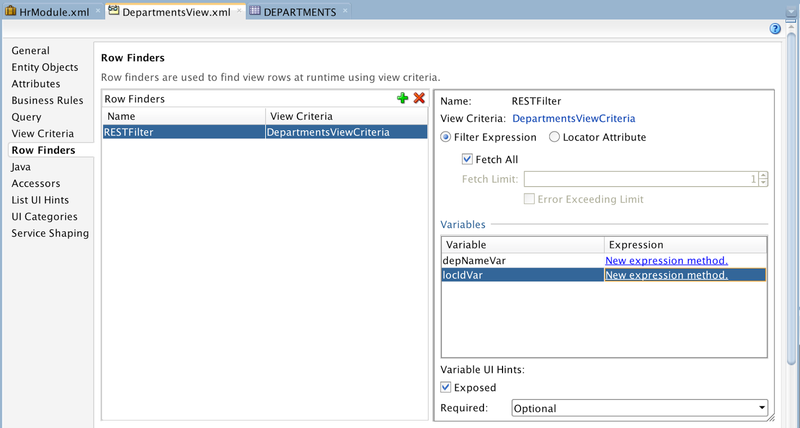 We are going to use View Object Row Finder. 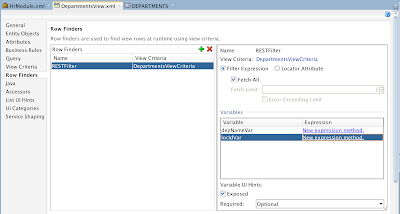 Oracle ADF BC REST developer guide explains how to use Row Finder with View Criteria. 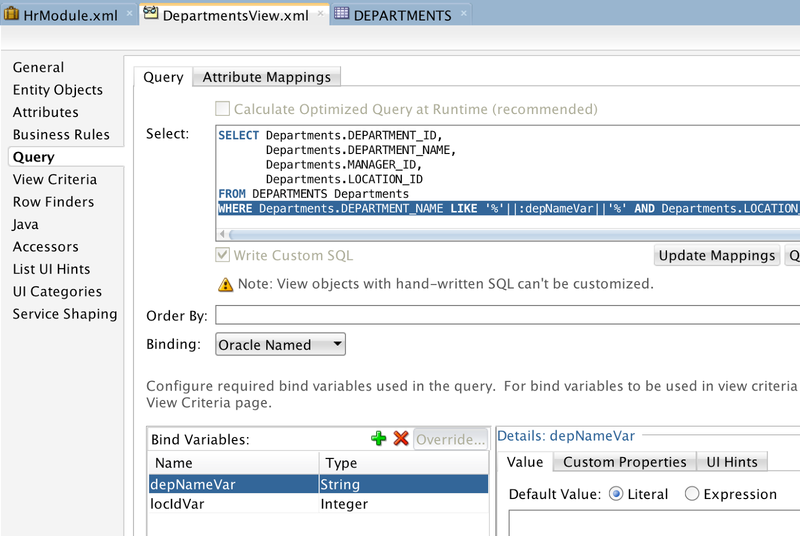 In our case we have different situation - we would like to use Row Finder for required bind variables, referenced directly in SQL statement. 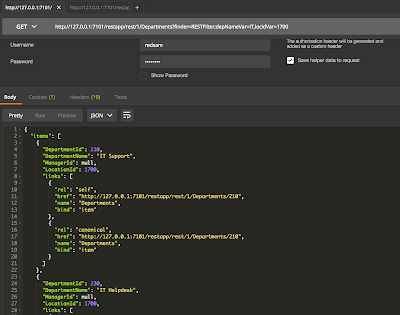 Download and browse sample application ADFBCRestApp from my GitHub repository - jetcrud. 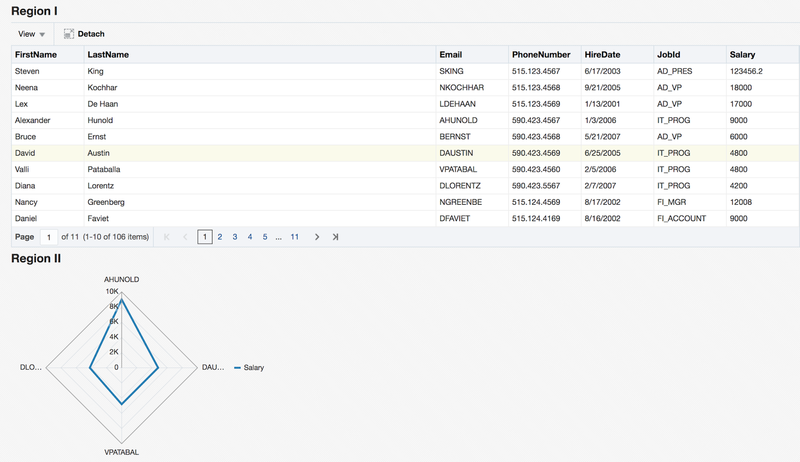 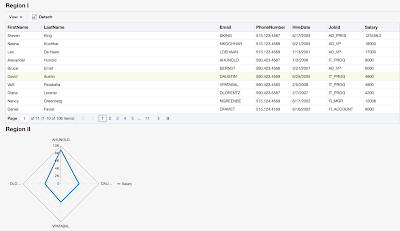 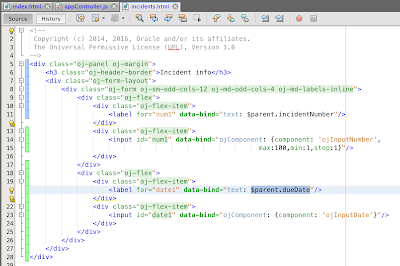 There is great post from Geertjan Wielenga about Translating Oracle JET Applications. 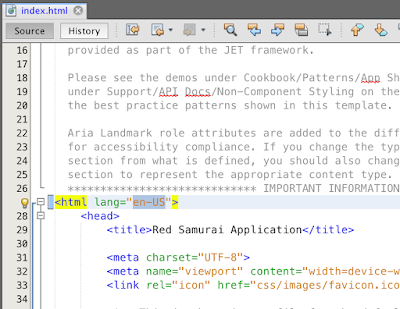 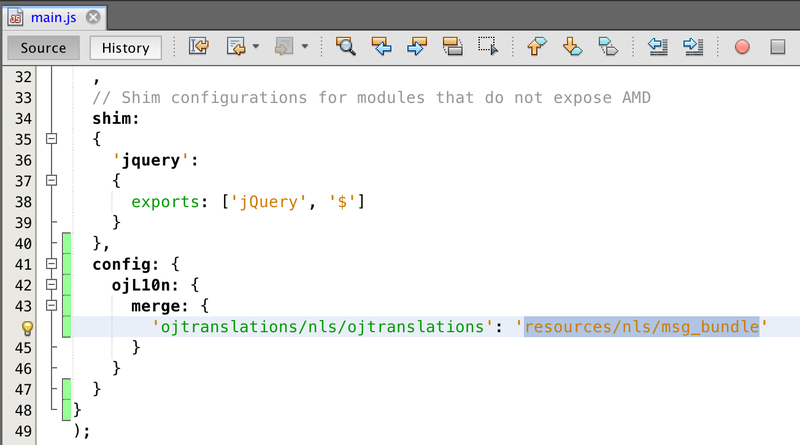 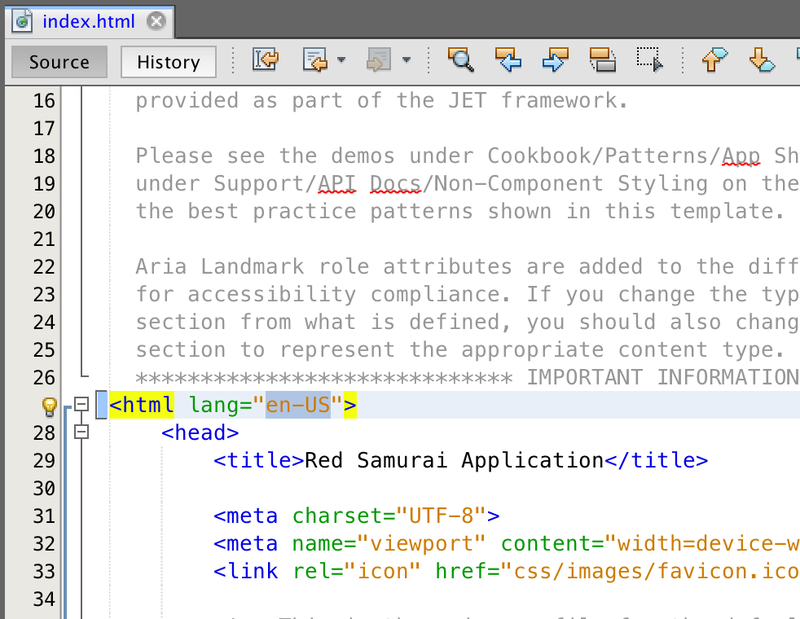 If you want to introduce multi language support into JET app - this is great place to start reading from. 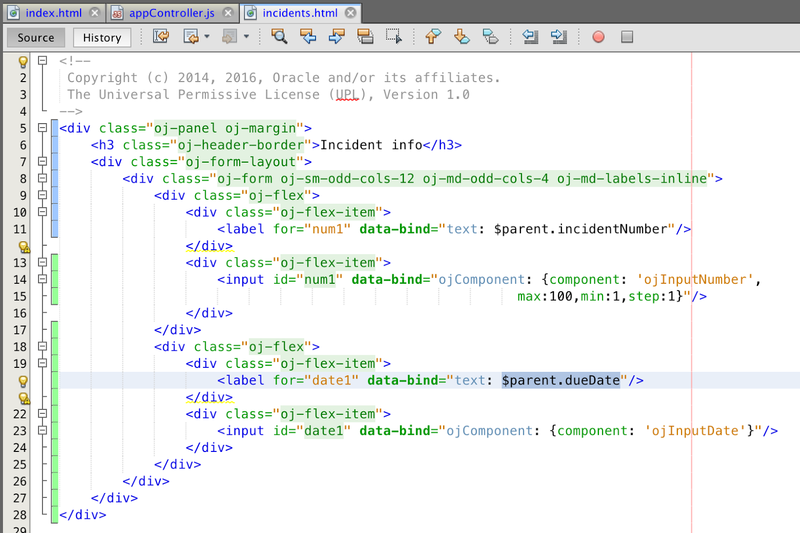 We are building production Oracle Cloud app with ADF BC REST and JET. 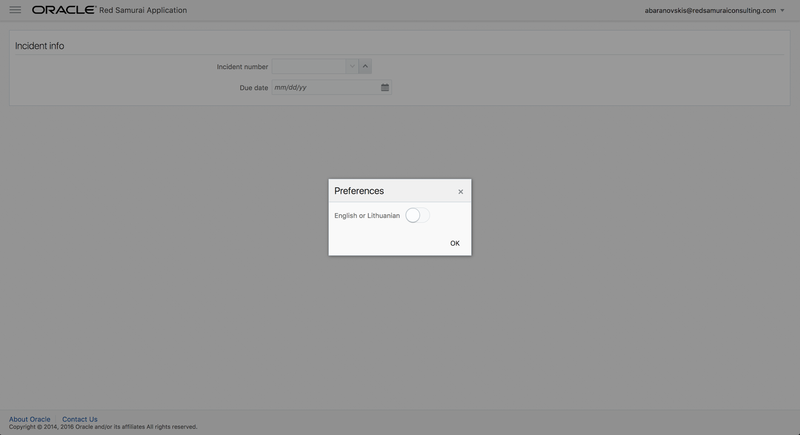 This app requires multi language support - English and Lithuanian. 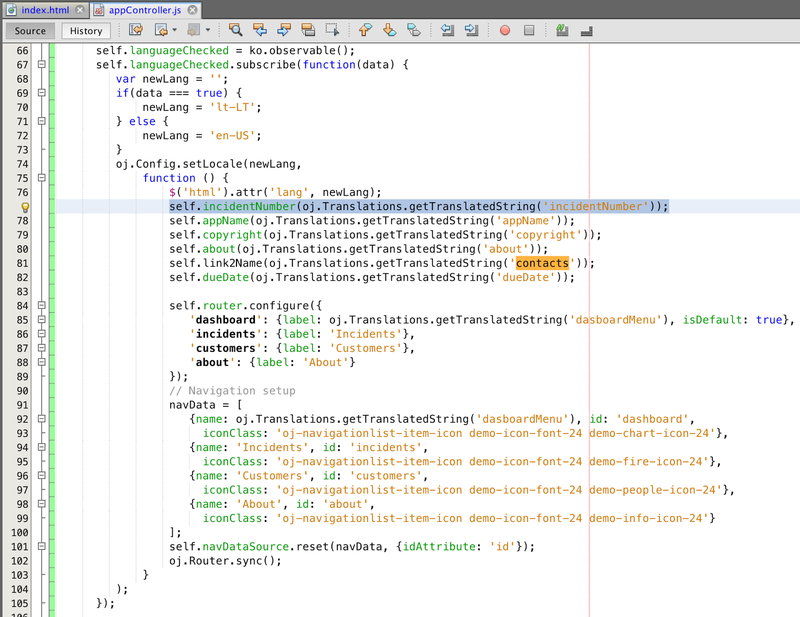 I will describe below how we integrated multi language into various areas in the app. 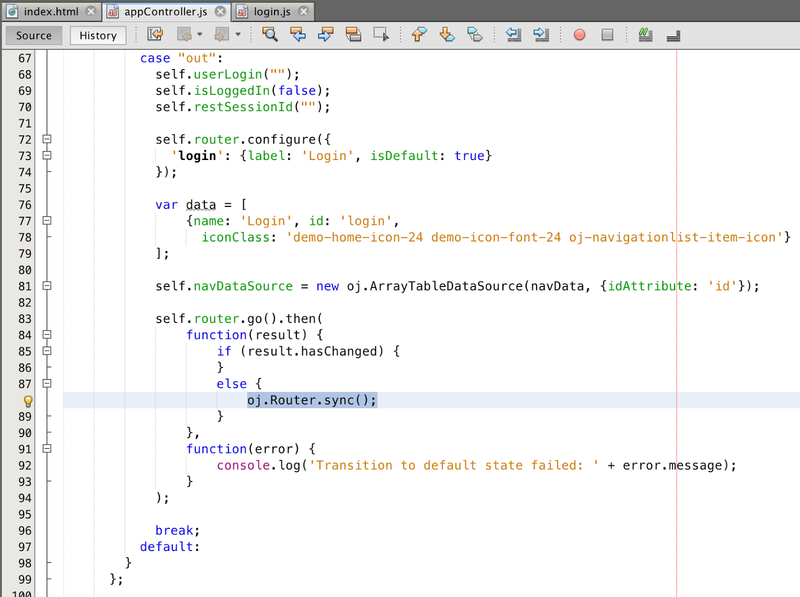 Download or browse through sample application in GitHub repo - JETPlaygroundApp. 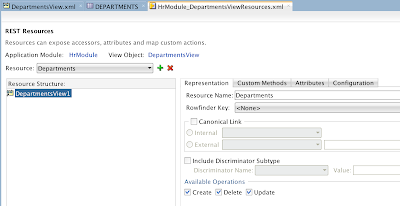 You can read full document on Oracle Support site, search for document ID 1985782.1.